Pyrazine-2-carbaldehyde. It belongs to intermediates category. Contact us for more information. 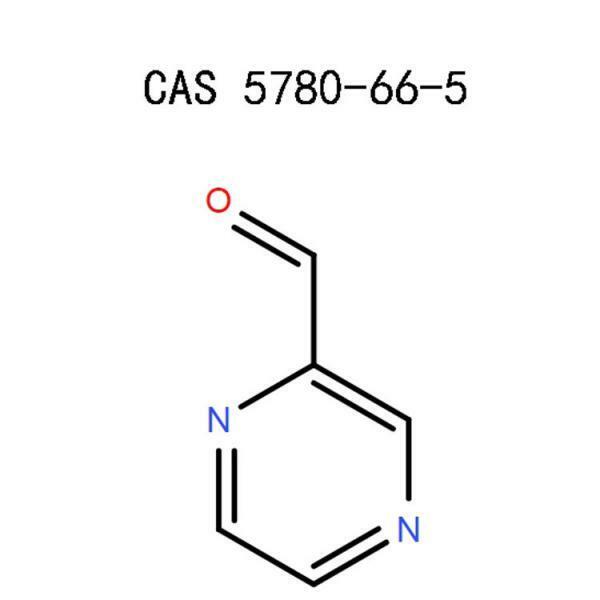 Are you in search of a reliable supply of chemical products such as Pyrazine-2-carbaldehyde (5780-66-5) for research, development and product synthesis? Relax because,at APICMO, we have your back. We can manufacture, synthesize and produce Pyrazine-2-carbaldehyde (5780-66-5) in large quantities under the manufacturing quality control requirements of CGMP. 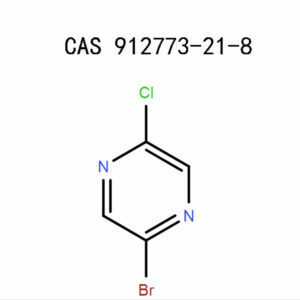 This product is in the category of intermediates. APICMO produces this product among many other products. You can contact us for more inquiries about the product. Pyrazine-2-carbaldehyde appears as a yellow solid. 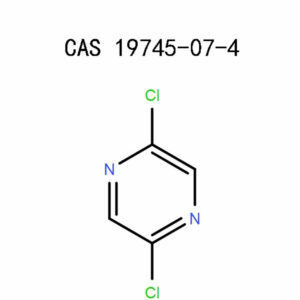 Pyrazine-2-carbaldehyde may be hazardous to human health, animals and the environment if mishandled. It is therefore important to read, understand and follow the safety measures recommended for this product when in use or under storage. It is injurious if swallowed. Wear standard safety goggles with side shields to cover the face. Put on impervious long sleeved safety clothing. Cover your hands with safety gloves resistant to the chemicals. Keep ready standard respirators to be used during emergencies. Emergencies may occur when working with Pyrazine-2-carbaldehyde. These emergencies may expose an individual to the hazards associated with this product. The following are first aid measures you should consider in the occurrence of an emergency. If someone swallows the substance, wash the mouth thoroughly using sufficient cold water. Help the casualty to move outdoors or a place with enough supply of fresh air. Ensureyour safety and the safety of the victim when doing so. Make sure the victim can breathe comfortably. Immediately take out the contaminated clothes. Get rid of the substance from the site of contact. Immediately wash the affected area with water and soap forabout 15 minutes. Immediately clean the eyes thoroughly with sufficient cold water. Take out eye contact lens if present and continue washing the eyes. Seek help from a medic if irritation persists. You should not handle the chemical before obtaining, reading and understanding the right instructions. Ensure that you wear safety clothing and apparatus. Avoid mixing the product with inflammable products. Avoid spraying the product on open fire. Do not heat the product in a confined space. Avoid foods, drinks or smoking while working with the product. Do not inhale the dust, fumes, sprays,andvapors. Work in an area with a sufficient supply of fresh air. Do not discharge into the environment. Wear respirators if you are working in a poorly ventilated area. Avoid handling the product during pregnancy or when nursing. Keep the unused product in a storage container and close it tightly. Collect the wastes and pack them appropriately for disposal. Remove the contaminated clothes and ensure washing them before taking them out of the workplace or using them again. Take caution while removing the gloves not to touch the contaminated outer side. Dispose of the gloves according to the requirements of the federal or national laws. Always use a well-labeled original container to store Pyrazine-2-carbaldehyde. Store the product in a place that has enough ventilation. Do not expose Pyrazine-2-carbaldehyde to hot surfaces or heat. Alwayskeep the storage container tightly corked. The container ought to have a chemical resistant inner liner. Do not keep the product under direct sunlight. Keep away from moisture or water. Extinguish the fire usingcarbon dioxide, water spray, alcohol-resistantfoam or dry chemical powder. Stop fighting the fire and evacuate the site in case the fire reaches explosives or in case of major fires. Be safely dressed and wear respiratory protective apparatus while fighting the fire. If safe and possible, stop the leakage. Collect the spillage and put it in disposal containers, close them in preparation for disposal. Consult an approved chemical waste regulatory plant or a company for proper waste disposal. All waste disposal practices must comply with the requirements of the local or national regulations. Do not release the waste into drains or sewer systems. You can rinse the containers and submit them to a recycling company or puncture them to avoid being used for other purposes. Pyrazine-2-carbaldehyde remains stable under suitable storage conditions. Pyrazine-2-carbaldehyde violently reacts with water. Keep the product away from strong acids, fire, oxidizer,and strong bases. There are no dangers associated with transportation of the product under the recommended measures. Pyrazine-2-carbaldehyde is a product classified for purposes of research and development. The handling, transportation,and storage of the product should always be according to the conditions recommended for this particular product. This document provides reliable information that can be used as a guide in combination with other sources of information. The people to handle this product must be well trained and with knowledge on laboratory practices. They ought to work under the supervision of qualified experts. At APICMO, we have a team of experts with good knowledge. The experts are committed to development and research in a wide range of fields such as chemical science, analytical science, chromatography, life science among others. 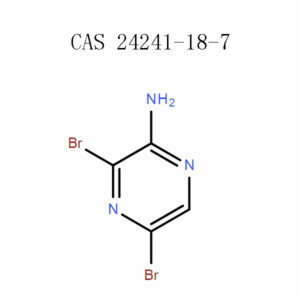 If you need Pyrazine-2-carbaldehyde in large quantities for your product synthesis, development or research, APICMO customer care is always ready to listen. Call us for inquiries and make your orders. National Centre for Biotechnology Information, U.S. National Library of Medicine, PubChem,2-chloro-5-aminopyrimidine, Sections 1-9. HoubenJosef, BüchelK. H., Padeken H. G., 1998,Methods of Organic Chemistry (Houben-Weyl), Part 1, p.284, p.287, p.342.